The clinic started in the home where Founder Christina Siewe and her sister Juliana were born. The home was a wood framed home with cardboard walls, and a roof of corrugated sheet metal, without indoor plumbing and no running water or electricity. 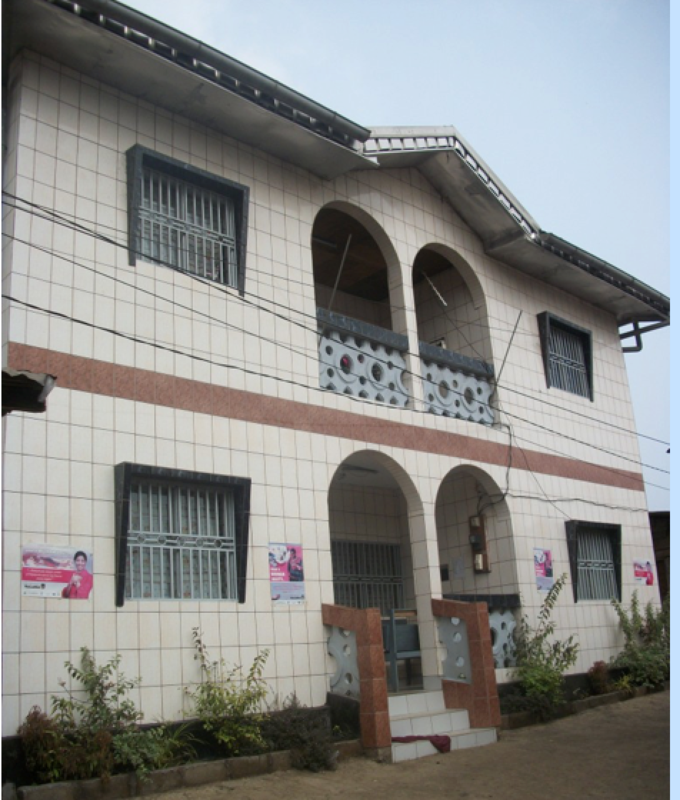 This home, which has served the community for the past several years, has been demolished, and a new center has been built. The clinic building is now a two story concrete structure, which strive to meet the growing healthcare needs of the community it serves. 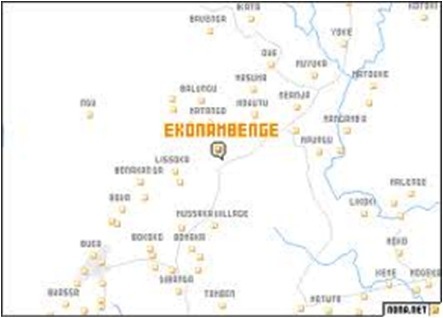 Ekona Mbenge and its surrounding villages is located in the South West Region in Cameroon, at the foot of Mount Cameroon and has a population of about 25,000 residents, including some surrounding villages mostly peasant farmers. The little income the farmers receive for long hours of labor barely feeds the large families. With such a large farm community, healthcare services and medicine are in very short supply. 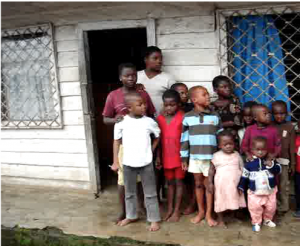 Our goal is to provide basic medicines, provide education that would help to reduce some common preventable illnesses and diseases such as diabetes, diarrhea, HIV/AIDS, typhoid fever, filarial, scabies, sometimes called “the itch” and of course, malnutrition and poor sanitation. With the lack of basic medical resources and poor environmental conditions that currently exist; we believe that if we can provide basic medicines, especially to the keeper of the home, teach basic hygiene, we can make a real difference in the crucial first 5 years of a child’s life and give them a good base for a better future. Any child, regardless of their socioeconomic status, we believe, deserves this start. We believe that the health of this community can also be measured by the mothers’ health and their knowledge of these health issues. Empower the mother through education as she is usually the home keeper. Lack of health education about chronic and preventable diseases such as measles, diabetes, typhoid, malaria, HIV/AIDS.